The ARGOS project was invited and presented by KEMEA the 20th of October 2015 in context of the EUCONCIP Conference in Rome to a focused group of European projects dealing with various aspects of security. 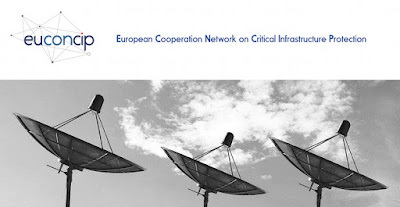 EUCONCIP (European Cooperation Network on Critical Infrastructure Protection) is an ECDG Home Affair funded project, under the Prevention, Preparedness and Consequence Management of Terrorism and other Security-related Risks program (CIPS). The project aims at setting the ground for a European partnership between critical infrastructures’ stakeholders to strengthen public-private international cooperation, training and cross-border/cross-sector knowledge building and the exchange of public available information on Critical Infrastructure Protection. The EUCONCIP Conference hosted 19 projects related to physical and cyber security and thus it represented a good networking opportunity for ARGOS, to show the project achievements and share its results to an audience relevant to the topic of the project. Furthermore it was a way to get in touch with end-users and stakeholders active in the field of Critical Infrastructure Protection in EU. In context of bilateral meetings organized among participants, ARGOS project established contacts with Italian, Romanian and Spanish stakeholders who show interest on project’s outcome.